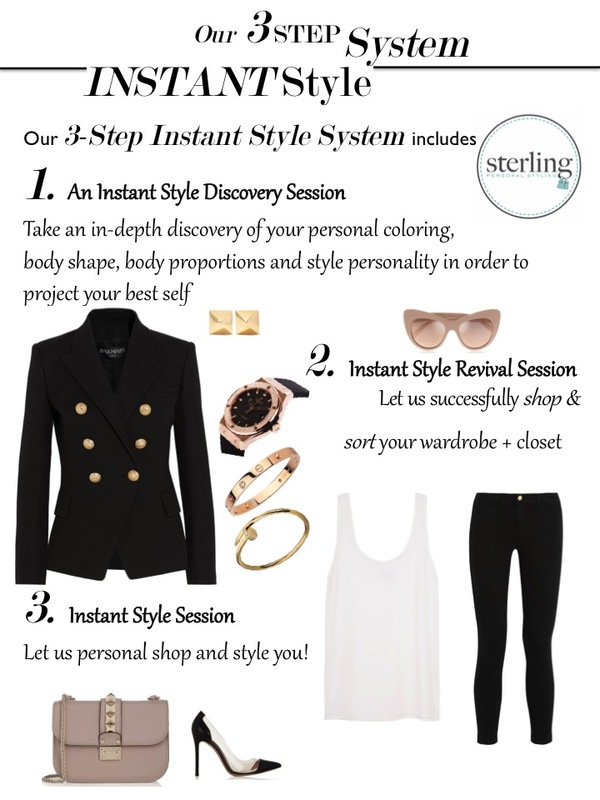 Sterling Personal Styling offers a 4-Step Online Personal Shopping + Online Personal Styling service for men and women to help you obtain your wardrobe of personal style choice. Discuss your overall needs, goals and objectives. Perform a personal color analysis to ensure that the clothing selected for you harmonizes with your skin tone, hair and eye color. Using your personal color palette, your online personal shopper will create a wardrobe of neutrals and accent colors that highlight your natural beauty. Based on your fashion style profile, your online shopper will select the correct silhouettes, fabrics, and accessories to develop outfits that truly reflect your unique identity. After the initial assessment, your personal shopper will conduct an online shopping session to select items from your wish list that are in accordance with your specific fashion style and preferences. At the end of the session, you will have a curated shopping list from which you may purchase the clothing items at your convenience by simply selecting your size and placing the order online. Clients should allot at least 2 hours to complete Steps 1 and 2 of this online personal shopping session. We strongly encourage scheduling a follow-up online personal styling session once you have received any items you have ordered. Put together perfectly coordinated outfits that flatter and suit your style. Get the most out of your new purchases as well as your existing wardrobe using mix + match styling techniques to create multiple looks using the same items. Accessorize your outfits to complete the look with everything from shoes and handbags to jewelry. In this session, your online personal stylist will not only show you what to wear, but how to wear it. You will actively try on all of the items selected for you during your first online assessment and your stylist will determine what to keep and what to return. You will learn how to integrate your new clothes with existing pieces to create a wardrobe that is versatile, functional and beautiful. This is the really fun part of your styling session! Your online personal stylist will guide you in taking selfies wearing your best looking outfits for future reference. First, book your Online Personal Shopping and / or Online Personal Stylist session online. We’ll follow up with an email to schedule your online video consultation for a day and time that works for you on our preferred video consultation platform. Next, you will be asked to complete and return a personal needs assessment form. Then, on the scheduled date, you will meet with your online personal shopper + stylist. Your online personal stylist works with you through every step of the process. No more wasted time or money spent buying clothes you don’t wear. Shop from the comfort of home without pushy sales people. Learn what styles flatter your body shape and look good on you. Build a wardrobe that reflects your true style and personality. 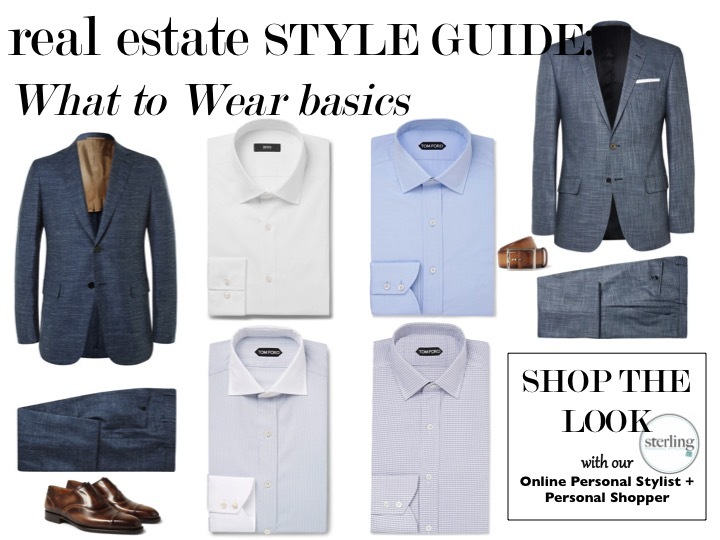 Outfits that are tailored specifically to your personal style profile. Build confidence in yourself and actually enjoy getting dressed each day. You will not only look better, you will feel better and more put together. From New York to Dubai, you can also take your online personal shopper & online personal stylist with you to go shopping in stores to help you select and purchase everything from shoes to handbags. With just one push of a button, no matter where you are in the world, your online personal stylist can “virtually” be there to assist you with purchase decisions both big and small! Live in San Francisco but shop in London? We can be there with you to make sure your newest wardrobe additions complement your style and fashion personality. To book an Online Personal Shopper session or Online Personal Styling session for 2 hours for US$200, please click here. Global Image Group has been serving executive men and women worldwide with their image consulting, personal styling, and personal shopper needs for over the last 15 years. Established by Michelle T. Sterling, Sterling Personal Styling is Global Image Group’s online image consultant and online personal shopper division, dedicated to effectively serving clients online if they are not able to have an in-person consultation in New York, London or Dubai. Schedule an appointment with us online and get the look you’re hoping to achieve according to your own budget and shopping needs. We are the experts in personal shopping. Need to train your luxury brand sales associates and personal shoppers? Click here for luxury brand sales training.